Do you want to work/undertake research at TU Graz? Which requirements do you have to consider? What to do in your leisure time. Do you need accommodation? Which childcare possibilities are there? How can you best get from A to B? This Guide provides answers to these and many other questions including lots of practical hints about Austria and the city of Graz. The countryside surrounding Graz is beautiful and unspoiled. No wonder that Austrians, young and old, seem to love to hike in the outdoors. The views from the top of Schöckl are outstanding, and the cable car ride to the top is fun also. I have been overwhelmed with the welcoming nature of the people at Graz, in particular the folks at FELMI, but also complete strangers have offered me help when I was lost or needed a ride. A stay abroad - no matter if it is short or long - needs to be well prepared. If you are planning a stay in Austria, you should deal with entry and residence requirements well beforehand. 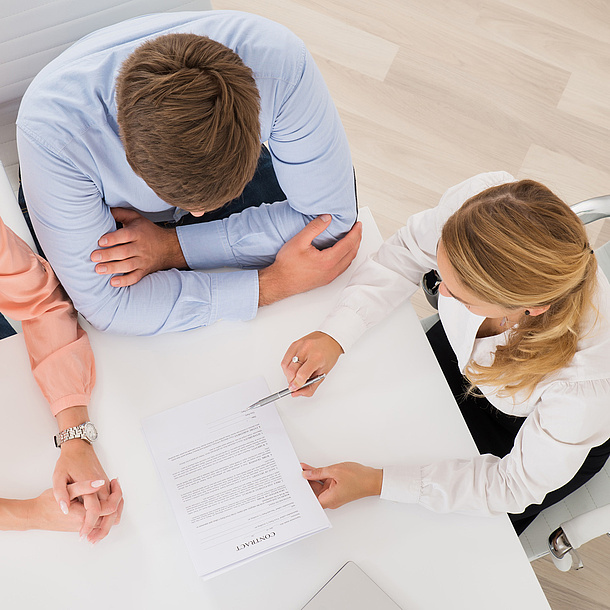 Get more information and practical hints that will guide you through that process here. The City of Graz is a very popular place of residence offering a huge variety of flats and houses. 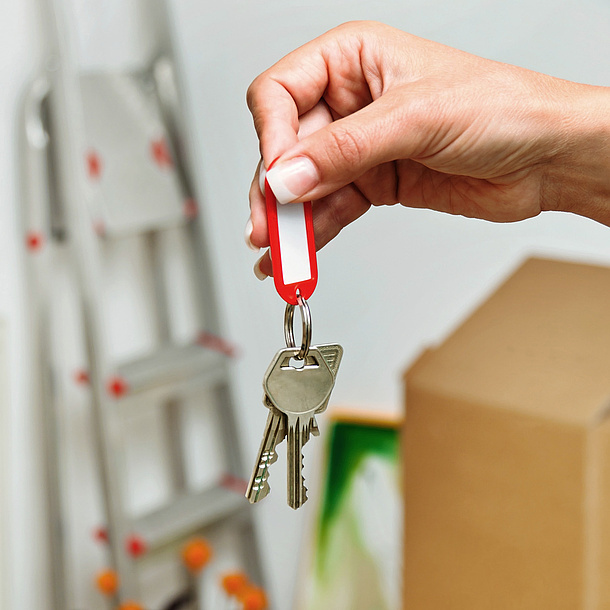 Accommodation services can help you find the appropriate accommodation. Here is an overview of the accommodation market in Graz. The Austrian Health System is one of the best in the world. 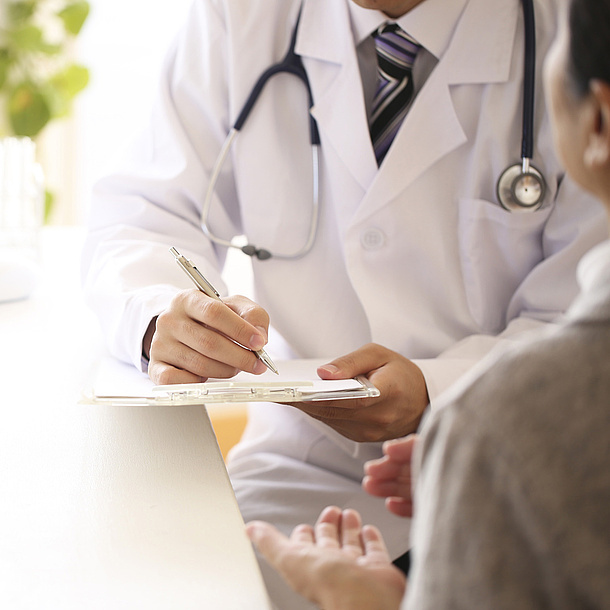 Find out more about the Austrian Public Health Service, doctors, chemist’s and hospitals in Graz here. 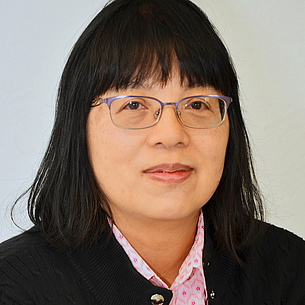 IBAN, BIC, income tax returns, tax assessments, social insurance - Austrian regulations relating to payment transactions, taxation and insurances are complicated. Find out about payments, taxation of your income and social and health insurance here. Families feel good in Graz. 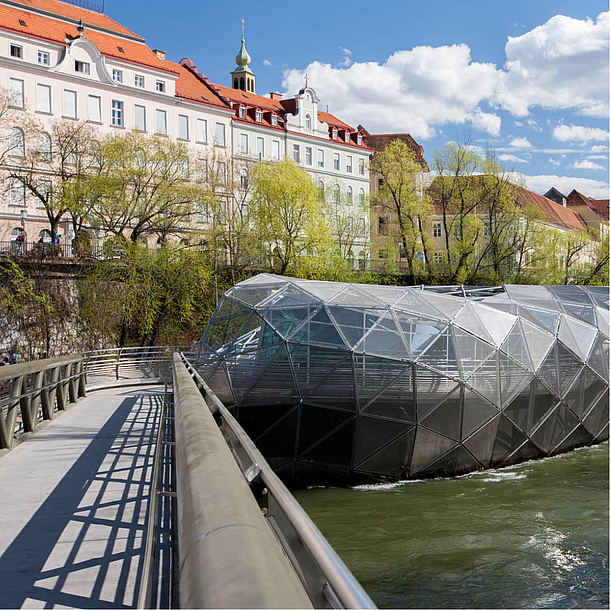 As an especially child and family friendly city, Graz offers a whole host of childcare facilities, schools, leisure time activities, and lots more. Check out the Austrian education system, financial support for families and childcare facilities in Graz, etc. here. Graz is a charming city - fascinating and modern, yet steeped in history. Graz has a lot to discover - places of interest, restaurants and loads of shopping opportunities. Get a brief overview here. You won’t get bored in Graz! 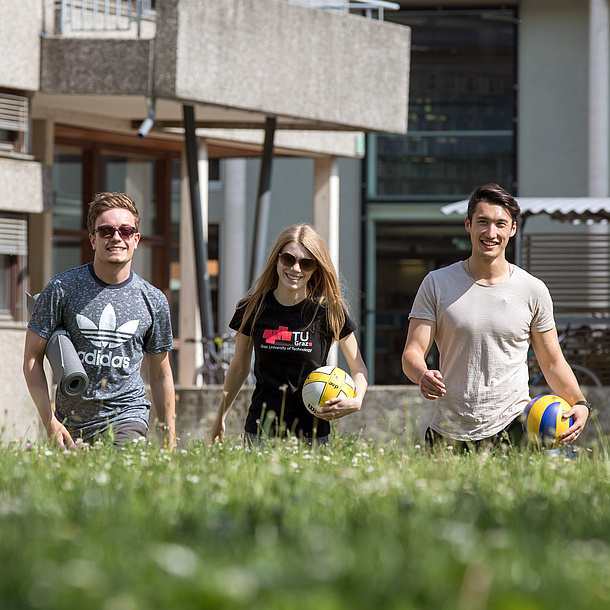 Find out more about the broad range of leisure activities in and around Graz for active and passive sports enthusiasts, families, lovers of art and culture and cinema freaks here. You’re totally flexible with the broad range of public transport services in Graz - no matter whether you use public transport, your own car or bike. 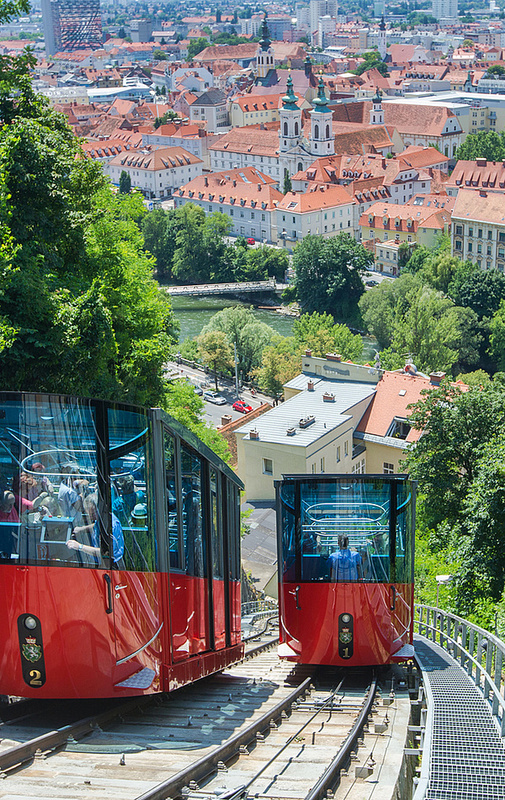 Here you can find out how to best get from A to B in Graz. Have you always wanted to know what makes a “typical” Austrian? Or what’s behind all those traditional Austrian things like Wiener Schnitzel, Viennese Waltz, Alpine skiing or wearing the national costume? Find out more about traditions, customs and various do’s and don’ts in Austria here. Connected to the world! Telephone, Internet, TV, radio - here’s all you need to know about various providers and their tariffs. The Welcome Center of TU Graz supports international employees and answers all of your questions regarding your stay in Graz. 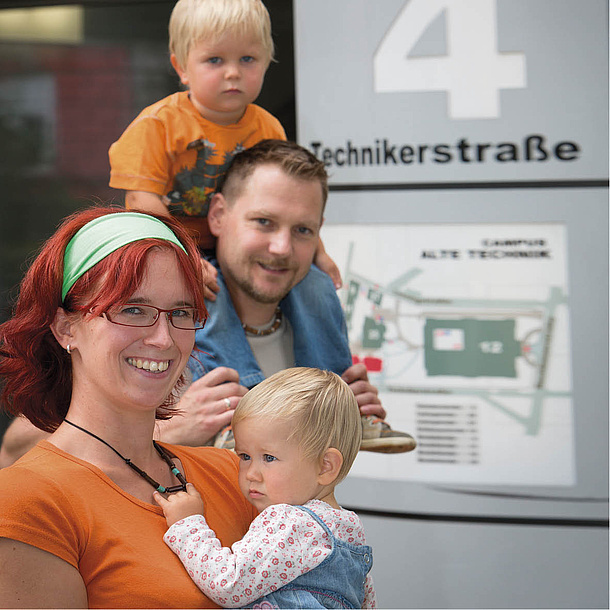 CINT is a service point for international specialist and key employees and their families to help them overcome the difficulties and challenges of everyday life in Graz. International staff members of TU Graz can join CINT for free. The registration for staff members has to be via the Welcome Center at TU Graz. 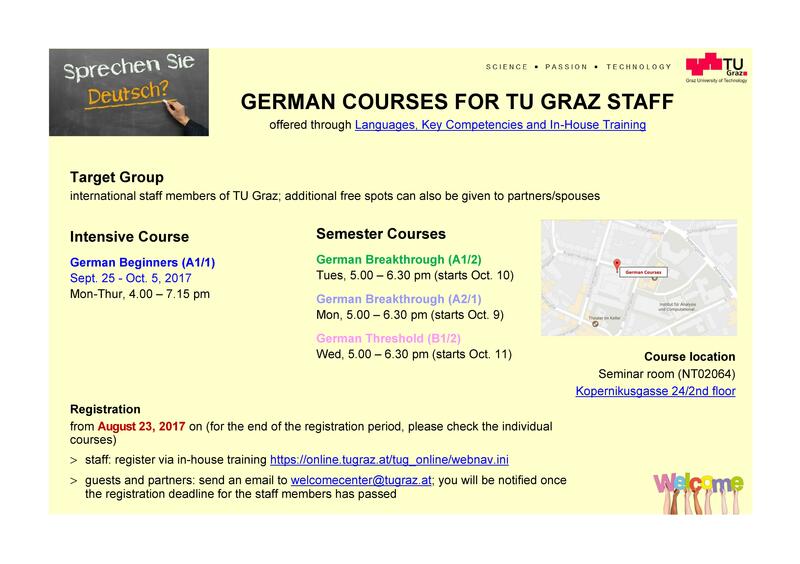 TU Graz offers German courses specifically for international staff; see the leaflet German courses for more information. TU Graz offers you various other language courses as part of in-house training. Find out more at Languages, Key Competencies and In-House Training.